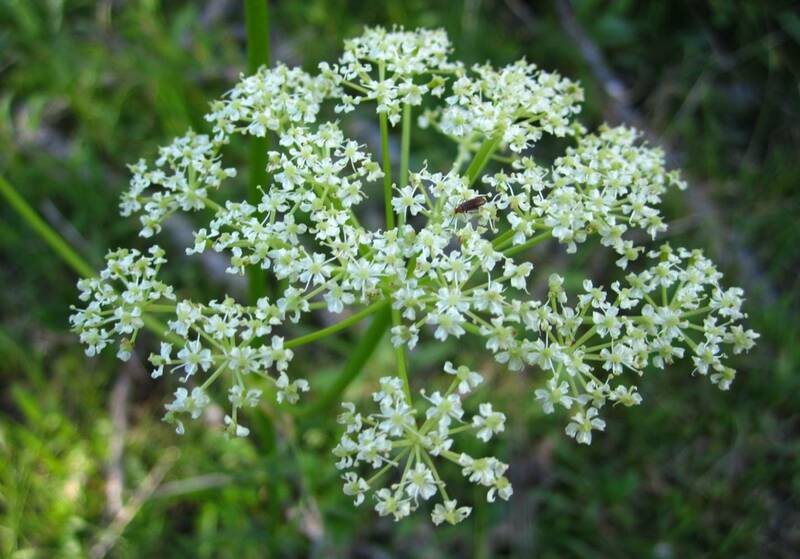 The root of Ligusticum porteri, known as Oshá, has long been esteemed–particularly among Native Americans and Hispanic populations in the Southwest and Mexico–as a traditional remedy for colds, sore throat and other ailments. Its use as an herbal remedy has increased significantly in the North American natural products market over the past two decades. In the face of increasing concern about this species’ possible decline due to unsustainable harvest practices, our group at the University of Kansas began a collaborative effort with the Rio Grande and San Juan National Forests, beginning in summer 2012. The project is aimed at obtaining baseline data on the status of Oshá populations and their resilience to different harvest pressures. Ligusticum porteri currently is not tracked by any state or federal conservation agencies, and comprehensive management strategies are lacking. Data from our project can be used to determine what a suitable rate of Oshá harvest might be as a guideline for wild harvesters to follow, and also as baseline data that can be used for establishment of permits for harvesters on National Forest lands.